Somebody once told me there are two kinds of yoga teachers: the ones who follow one teacher and the ones follow many. Those who follow a teacher are dangerous because they can’t think with their own head. Those who follow many teachers are dangerous because what they really think is they know better than anyone else! I’m more like the second kind, but I once met a man whose approach to yoga I really liked, and is still at the root of my practice and teaching. His name is Shrivatsa Ramaswami, which despite the evocative sound is not a spiritual name but his actual given and family name. 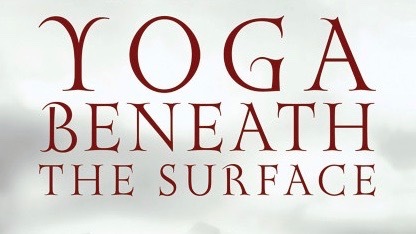 What stroke me when I first read his books on yoga was the common-sense, down-to-earth quality of his approach. When I met him, his person confirmed this feeling and I started trying figuring out where it came from. One thing could be that he did not work as a professional teacher until he was relatively senior. It’s true that in his thirties Krishnamacharya assigned him a course at Kalachakra dance school in Chennai. But what he actually did for living most of his life was the electrical engineer. Another thing I really like about him is that he’s not an athlete. There are some pictures portraying him in yogasanas in his younger years, but you never see him in some advanced spectacular contortion. Which makes him one of us. He actually reports being first brought to Krishnamacharya by his parents to improve his health. And insists on how his lack of genetic disposition to yoga was the most precious gift to improve his teaching skills. He had to work his way through the basics. So he understands what kind of struggle you’re in as a student. He also can spot an exceptionally flexible, gifted body, and draw the best out of it. But what I like the most about him is his catch frase if it’s possible, do it. That was my philosophy too, since the beginning. But hearing that from someone who was born into yoga and Sanskrit and can chant the Vedas by heart is so reassuring. Ramaswami is the living proof that all those super-sapient who are looking to find and seal the yoga rulebook forever are nothing but compensating some form of inner insecurity. When you have the kind confidence that comes from knowing where you’re standing and you have reached the essence of your art, then there is nothing but tolerance and freedom.